Kim Jong-un called the launch “impeccable” and a “breakthrough”. 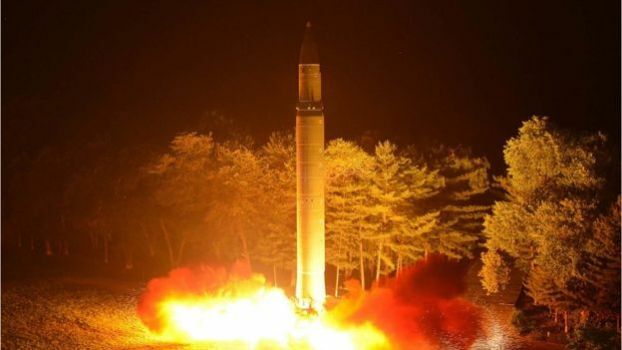 It was the first test from Pyongyang in more than two months, after a flurry earlier this year. US President Donald Trump spoke to China’s President Xi Jinping by telephone, the White House said, urging him to “use all available levers to convince North Korea to end its provocations and return to the path of denuclearisation”.